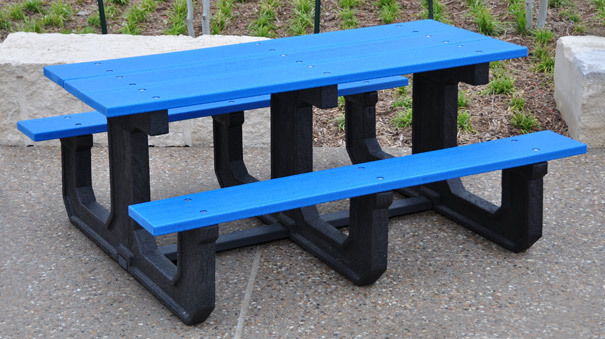 The Park Place heavy-duty recycled plastic picnic tables will make your environment friendly for seating and eating. Made with five durable 2" x 10" Resinwood slats and sturdy black recycled plastic bases. Table top and seats are available in green, cedar, gray, blue, and red. Optional in-ground and surface mount kits are also available. ►Need a Park Place Table Fast?